For consumers today, functionality, quality and trust are not the only things that drive preference for a brand. It is important that the brand has a higher purpose; a purpose that is driven by the brand’s commitment to make the world a better place. Thus, we see a lot of campaigns that champion social change. 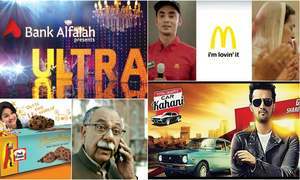 Ramzan presents brands with the perfect opportunity to focus on how they can make a positive difference. Here, we look at some Ramzan campaigns that used this to great effect. We will also look at a campaign that celebrates the uncelebrated among us and our final campaign is about an ad that nailed the art of storytelling and left us with a warm and fuzzy feeling. Message: Don’t let your opinion blur your view of what you see. Effectiveness: Samsung brings people of different colours, genders and races together in an insightful and thought-provoking ad. When we look at people, our view of them is formed not only by what we see, but by our preconceived notions about them. Our vision is blurred by our biases and prejudices. However, the lens of a camera gives you a real view of that person without the prejudice. Released during Ramzan, this campaign shines a light upon the inequalities ingrained within our minds. Samsung uses the campaign to make a powerful statement about equality and human rights, asking us to rise above our differences and come together as humans for the good of others. Verdict: Inspires us to look within ourselves. Message: Feel good in your own skin. Effectiveness: Seems like everyone has cracked the formula for a great lawn campaign. Find a famous photographer, hire leading models, shoot at an exotic location and voila... you have a lawn campaign. For good measure, you can even throw in a script. But sometimes, when everyone is going one way, it’s best to take the road not taken. We must appreciate Generation for trying to do something more inspiring and meaningful. Their campaign celebrates the diversity and beauty of different skin tones while seeking to break stereotypes and celebrate the beauty in every woman. Although the idea is not new, Generation has breathed new life into it through their unique approach and execution. Verdict: A new dawn for lawn. Message: This Ramzan, do one good deed a day. 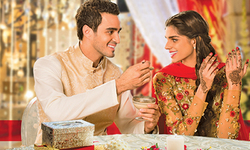 Effectiveness: Although Ramzan has a special meaning for all of us, not every brand knows how to use the occasion to make a meaningful connection with the consumer. While generous acts of charity get all the attention, nobody pays attention to the small acts of kindness we can all do. Surf Excel’s campaign has a very simple message. Start with the small acts of kindness every day. In their digital campaign, Surf Excel used the 30 days of Ramzan to highlight 30 small acts of kindness we can do every day. By keeping it simple, they have shown that if we all do little things, we can make a big difference. Verdict: The everyday acts of kindness we never thought about. Message: Truck drivers seem to be very different from us; but what drives them is the same thing that drives us. Effectiveness: Do you remember the typical diesel engine oil ads of the past that featured a confident truck driver with a large, well-trimmed moustache, wearing a spotless shalwar kameez. Brands were eager to push the myth of the happy truck driver... a bubble dreamt up by people sitting in a boardroom and which had little to do with reality. Then Shell burst that bubble with their ‘Real Destinations’ international campaign and now they have taken it a step further with their ‘What Matters Is Inside’ campaign. When we look at truck drivers and farmers, we see rugged people with hard hands and faces. We are put off by their appearance, dress and even the way they smell. Yet, this is not what their families see. They see hardworking sons, loving fathers and devoted husbands. The local version of this campaign does a great job of capturing the struggles of truck drivers and farmers and acknowledging that outward appearances do not matter. What matters is what drives these people from inside. Verdict: Changes our perceptions about truck drivers. Message: Bring out the goodness within you. Effectiveness: Half the job is done when you have penned a great story. Then the real challenge begins – finding the right storyteller. This has proved to be a stumbling block for many Pakistani ads. A lot of good stories fail to live up to their true potential because we never put in the time, effort and expense to turn a good idea into a great one. Peak Freans Cake Up could easily have ended up being a reasonably good ad; what raised the bar and made it truly memorable is the way the story is told. The characters are relatable and the emotions real. Created jointly by Ogilvy India and Pakistan, this campaign never ceases to melt hearts. Verdict: The way a story is meant to be told.